How can I remove part of my submissions and reset my form? I need to keep a form but remove past year's submissions. Is there a way to do that without affecting the form itself? 1. Navigate to your "My Forms" page->Choose a form you want to clean up the submissions->Click the "Submissions" option. 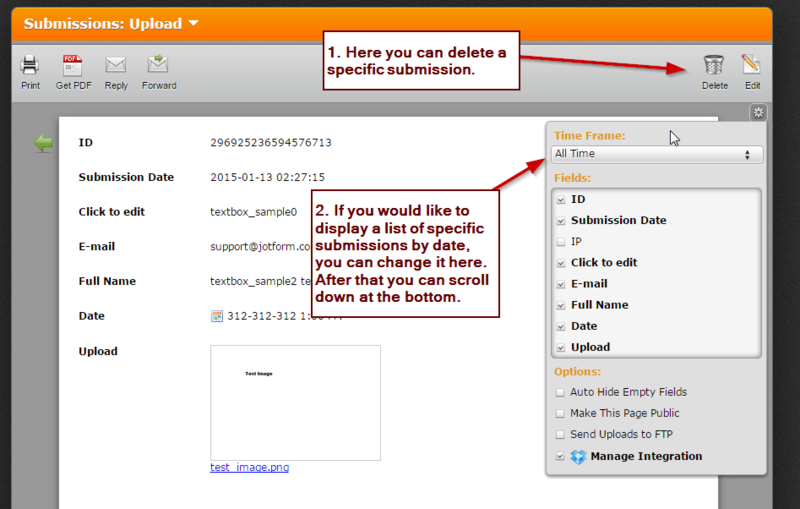 B. Delete specific list of submissions by setting up a custom date range where you can view and delete them. 3. When you scroll down you can see the delete submissions button. I would recommend that you download all your data so that you can have a back up on them, please take note that once you deleted your submissions you can't recover them back. This is the same with uploaded files, you need to download them first so that you can have a copy for future use. 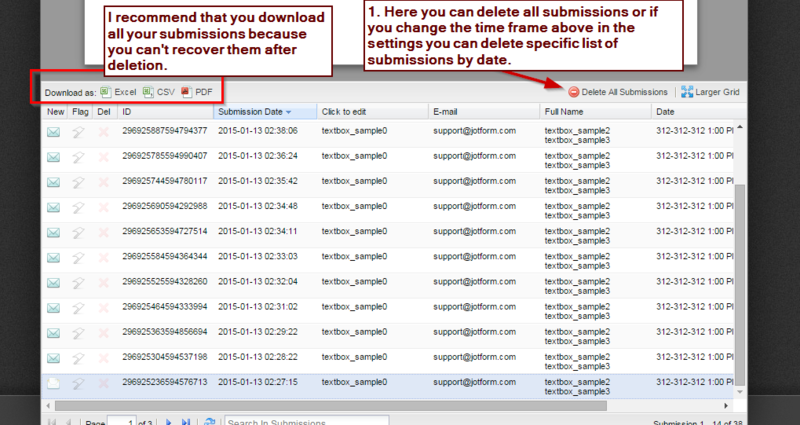 Hope this will help you to delete any specific submissions based on the criteria provided.